Google Manufacturer Center is for manufacturers and brands who own the licenses to the products they make. It’s a great channel to get analytics and better control over your products. 1. Better access to Analytics – you can see brand and product impressions and clicks, as well as see top performing products. 2. Complete control over content. When Google Shopping groups merchants under one product title, description, and image, you get to control what displays. What fields are required in the Google Manufacturer Center Feed? 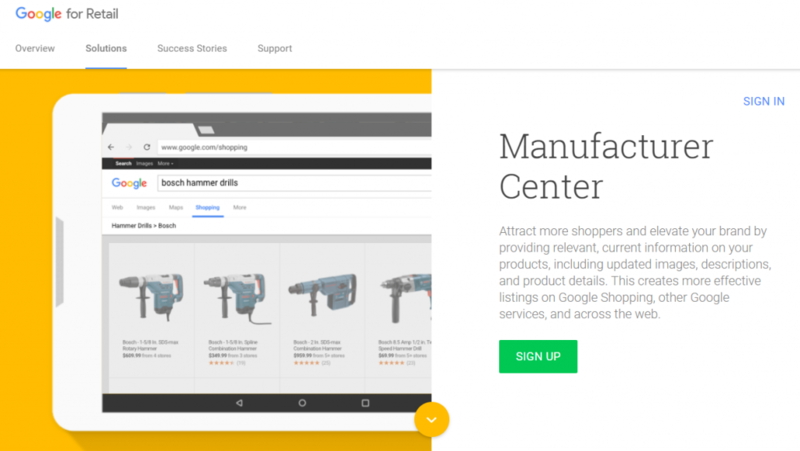 If you’re a brand or manufacturer, we can help create optimized feeds for Google Manufacturer Center. Feel free to reach out below! Need Help With Google Manufacturer Center Feed Management?